Do you know how to throw a good party? There's something special about being surrounded by friends and family and a chance to meet new people. But we're not all gifted with the hostess skills of Martha Stewart. But don't let that stop you. A few key details can help to pull together your party and create a conversation piece for your guests to enjoy. I have a few simple tips and inspiration to help you with your next party. Making sure you have the right supplies for your party is an often overlooked detail. When you are putting your supply list together have some fun with it! There are some terrific designs for paper goods and even more creative ways to display them. Turn the basic details into interesting features. Use cute bathroom towels, small scented candles in the washroom and enough coat hangers for guests and maybe a name tag for guests and one for their coat. Spills and accidents do happen but don't let a red wine stain be a defining moment in your party. Stock up on paper towels and check out this easy no-sew pillow cover idea to redesign your room in minutes and keep your pillows safe from spills. We can also recommend the new Arbor Mist Pear Pinot Grigio Frozen Wine Cocktail to get the conversation started. Sometimes p arties just need icebreakers, regardless of whether you've known the partygoers for two minutes or twenty years. 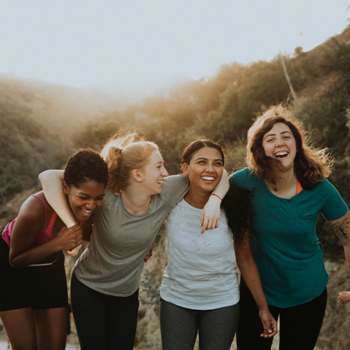 Activities tend to get the energy in a party flowing, by encouraging teamwork, a good sense of competiveness and something in common to discuss. One way to spice up old classics is to come up with your own rules! 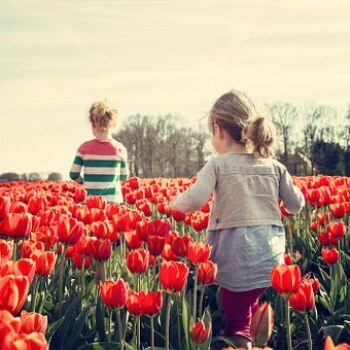 Switch up a simple board game or add a food, drink or special theme to a scavenger hunt. Don't forget that snacks go very well with activities. Are you playing jenga - then how about some chocolate fingers or twig pretzels to munch on while you play. Food is a wonderful way to encourage your guests to move around and make conversation. If you are not planning to do a full meal you can still wow your guests with some creative drinks and a range of bite size foods for everyone to try. But don't forget to make enough, good food goes fast! Lastly, why not have a "dress your drink" bar with cut fruit strawberries, mint, colorful mixer sticks and of course some umbrella's and straws. You can even give your drinks themed names and create a fun drinks menu to set on top of the bar. The Arbor Mist Blackberry Merlot Frozen Wine Cocktail could become the "Blackberry Breezer" "Black Friday" or "Gone with the Wind". Arbor Mist Frozen Wine Cocktails! Are an entirely new way to enjoy great-tasting wine with a splash of fruit- just freeze, squeeze and enjoy. No mixing of ingredients, ice or blender required! They are available in three different flavors, Blackberry Merlot, Strawberry White Zinfadel and White Pear Pinot Grigio. Each cocktail has the same great taste as the Arbor Mist Wines. They are great for many types of get together Girl’s Night, Dinner Parties, BBQs, and many more. Tell us your tips for a great party pairing and some of the activities you like to plan for your events. 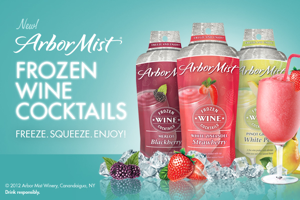 I just tried the Arbor Mist Frozen Wine Cocktails. They were delicious and really refreshing on the 95 degree weather the day we had them! These would be a great substitution at our parties instead of having to break out the blender. I have tried them, we like to take them to the local Concert in the Park nights. I usually like to have a theme to my parties. Even if I'm just selling something I think it is more fun to have a theme for the whole thing, like pizza party or beach party. I didn't know about these but we love the wine. I will be picking these up for our vacation at the ned of the month!!!! These sound delicious and refreshing! I've actually really started liking these frozen drinks. I haven't tried these wine ones but they sound real good and I am defiantly going to look for them. It's so hot were I live and and these frozen drinks are so refreshing and convenient too. Great price as well. Haven't tried them yet, but they really look yummie, especially during these hot summer months.